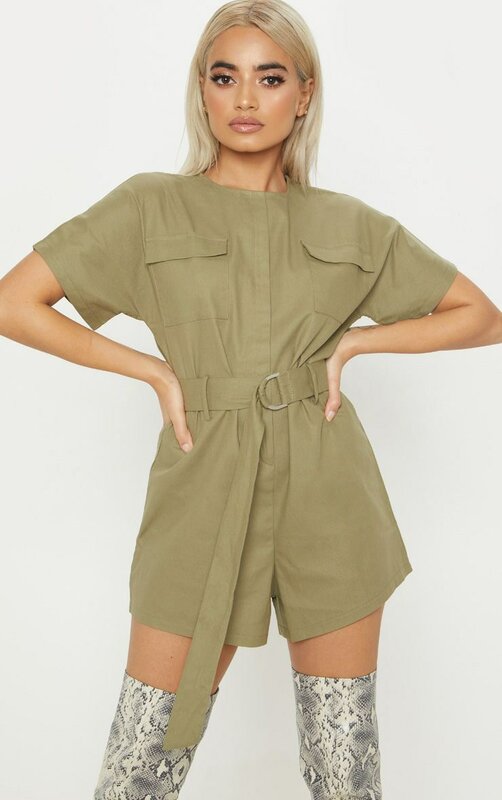 We are obsessing over everything utility this season and this romper is sure to steal all the stares. 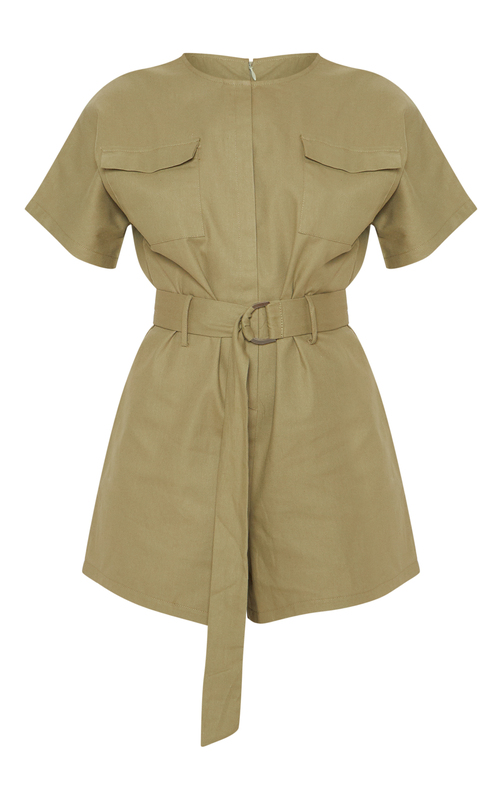 Featuring a khaki material with utility pockets and a belt detail. 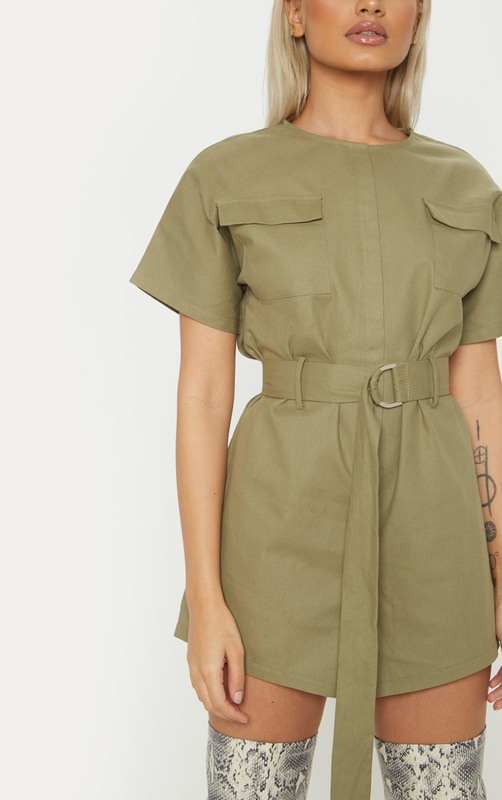 Team this with thigh-high boots and some statement jewelry for a day to night look.